The Autumn Culture and Art Festival at Zuibai Pond Park will run from September 18 to October 8. 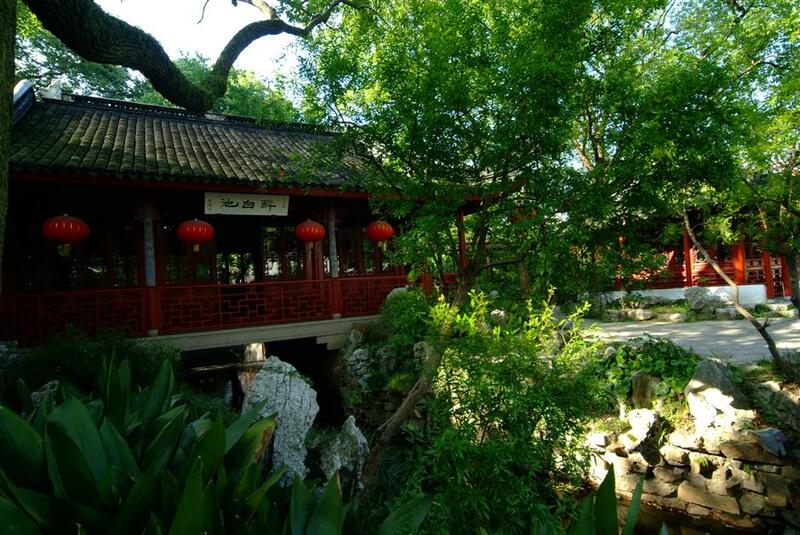 Zuibai Pond Park, with its centuries-old trees, lush greenery, rippling waters and stately pavilions, is one of Shanghai’s oldest and most beautiful examples of a classic Chinese garden. In autumn, it will present its annual art festival that features calligraphy, painting, music and folk art. The Autumn Culture and Art Festival at Zuibai Pond Park will run from September 18 to October 8. The festival will feature a calligraphy and traditional Chinese painting exhibition, a calligraphy seminar, a Han ethnic group culture exhibition, traditional Chinese opera performances, a guzheng (Chinese zither) performance and a bonsai display. The calligraphy and traditional Chinese painting exhibition from October 1 to 8 will take place at the Stone Tablet Gallery and showcase 50 works by 10 young artists. The artists will bring with them artworks that integrate tradition with creativity and satisfy visitors with various aesthetic standards. A calligraphy seminar which has been held for seven years in a row will also be staged this year. Participants will watch and comment on displayed works, learn from each other and discuss topics concerning calligraphy. This year the seminar will take place at the Carved Hall from 2pm to 3:30pm on September 21. As the Mid-Autumn Festival falls on September 24 this year, a Han ethnic group culture exhibition and other interaction activities will be held at the park’s Peony Stage from 1:30pm to 3:30pm. The activities will be postponed till October 3 if the day happens to be a rainy day. A stage performance, which will last for 90 minutes, will include programs such as a Han costume display, blessing ceremony, Han dancing, traditional Chinese music concert and tea ceremony performance. Visitors will be treated to a visual feast of traditional Han culture. At the Wisteria Corridor, a riddle quiz will take place. Visitors who guess the answers correctly can win souvenirs.At the Dawn Redwood Forest, tourists can learn how to cut paper Han costumes and make leaf bookmarks in the shape of Han costumes from teachers to further experience the charm of Han culture.A wishing tree will be selected at the Grand Lawn for visitors to attach pieces of paper with their wishes written on them. Children can participate in a poetry competition held at the yard of the Stone Tablet Gallery and be awarded prizes according to their performance. Ten model families that have “moved Songjiang” will be invited to the park at Mid-Autumn Festival to have their photos taken by professional photographers. They will wear Han costumes at the Carved Hall and have their happy moments framed. A volunteer team from Songjiang District Cultural Center will stage quyi performances for audiences during the National Day Holidays. Quyi is the general term for several hundred speaking and singing art forms in China. There will be performances held at the Peony Stage from 9:30am to 11am and from 1pm to 2:30pm on October 1 and 2. The activities will be canceled if it happens to be a rainy day. Students from the Experimental School Affiliated to Donghua University will stage a guzheng concert for visitors at the Peony Stage from 9:30am to 11am on October 7. The guzheng is a traditional Chinese plucked string instrument. Throughout the Autumn Culture and Art Festival, visitors will be able to appreciate a bonsai display that will exhibit a total of more than 200 bonsai at the park’s bonsai garden. Tourists visiting the park during the Mid-Autumn Festival and the National Day holidays and scanning and joining the WeChat account of the park on site will receive a souvenir. Visitors who wear Han costumes will enjoy free entrance once they join the park’s WeChat account. Ticket sales will remain the same at 12 yuan (US$1.76) per person during the festival. The park opens at 6am and closes at 5pm. Exhibition halls inside the park open at 8am and close at 5pm.